Now, the Oscar winner has travelled more than 120 000 kilometers and visited 30 cities to try to unravel mysteries of spirituality around the world. The third season of “The Story of God,” which has six episodes, premieres March 5 on National Geographic. The series goes into great detail in its analysis of religion and rituals, but avoids addressing current issues — such as pedophilia scandals that plague the Catholic Church worldwide. “Belief in the value of human life, of justice, and togetherness, and all of those things which overlap in its outlook. (Yet) looking at the small details of fate, you get assigned differences. And the more a country … uses details” for a political agenda, the more people are divided. 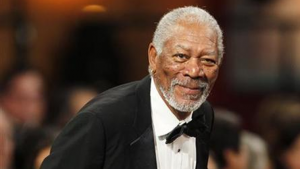 The post Morgan Freeman explores faith in ‘Story of God’ appeared first on SABC News – Breaking news, special reports, world, business, sport coverage of all South African current events. Africa's news leader..